While I’ve never quite developed a taste for K-dramas or K-pop, KFC – Korean Fried Chicken – is something I can get behind. Maybe it’s the twice-fry technique that ensures a crispy exterior and juicy insides; or maybe it’s the garlicky goodness or spicy kick from its sauces. 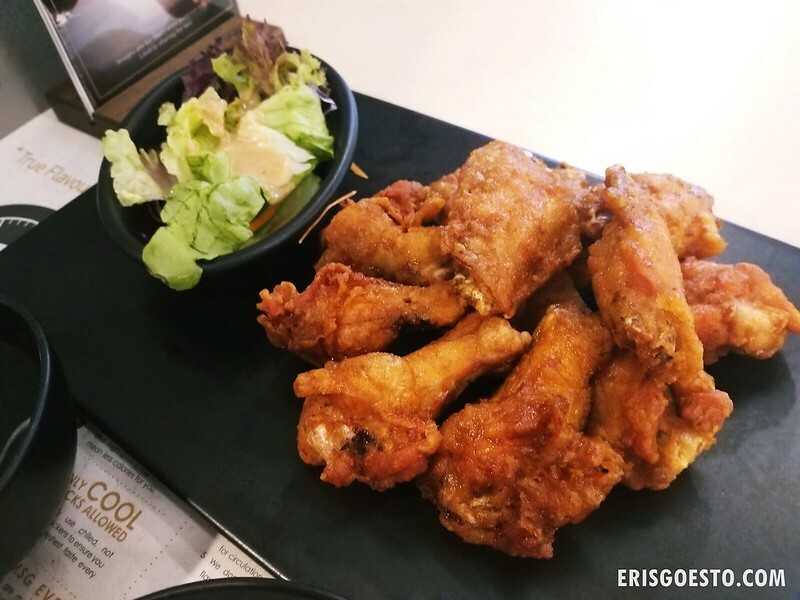 Chief among the franchises peddling Korean fried chicken is Kyochon – and they’re pretty popular in Malaysia (their largest outlet in the world is at Pavilion Kuala Lumpur). 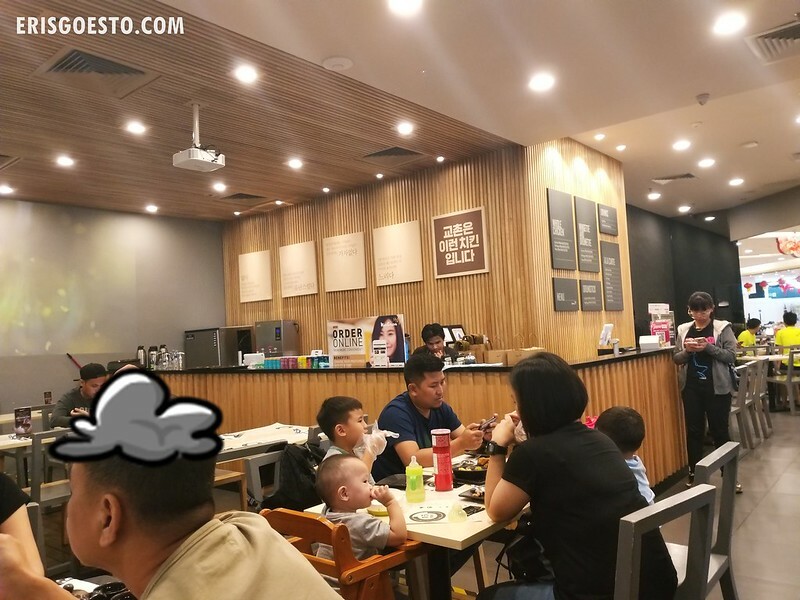 Their 1Utama outlet is always pretty full, but they had empty seats when I happened to pass by – so a Kyochon dinner it was! 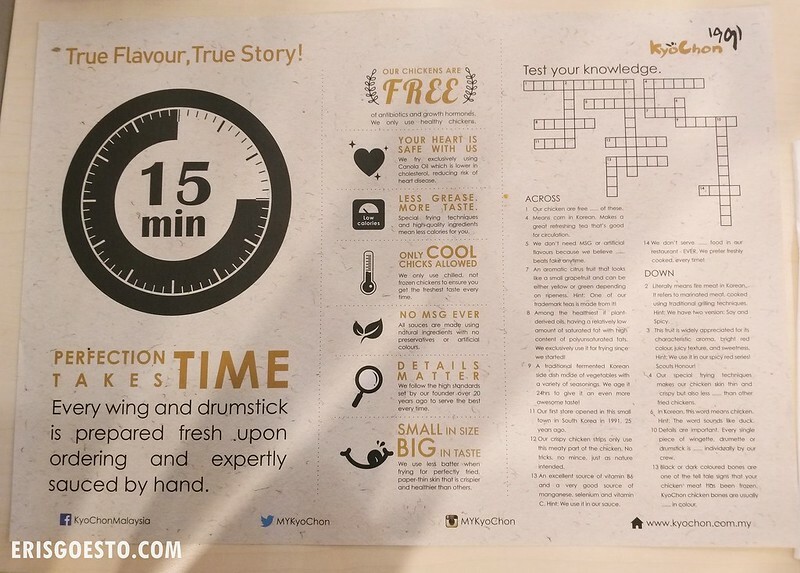 Kyochon prides itself in making their chicken fresh to order, so a 15-minute wait is expected. They even give you a nice crossword puzzle to occupy your time. My wait took well over 45 minutes though lol. So maybe the outlet is full /there’s a line because their service is slow? PS My drink also took 45 minutes and was served together with the food so my hunch is they forgot my order and only keyed it in after my first prompt. The specialty here is the soy garlic series. You can get the wings/drumettes, or larger pieces. Personally, I like the wings coz it’s nice to nibble on them and pick them clean 😀 A regular nets you eight pieces, while the medium has 12 and the large has 20. I went for the medium, with a side of rice, soup and salad. To be fair, it’s good fried chicken. Fresh, juicy, crisp with a nice sweet and savoury coat. It’s also very garlicky, so expect garlic-breath for some time afterwards. 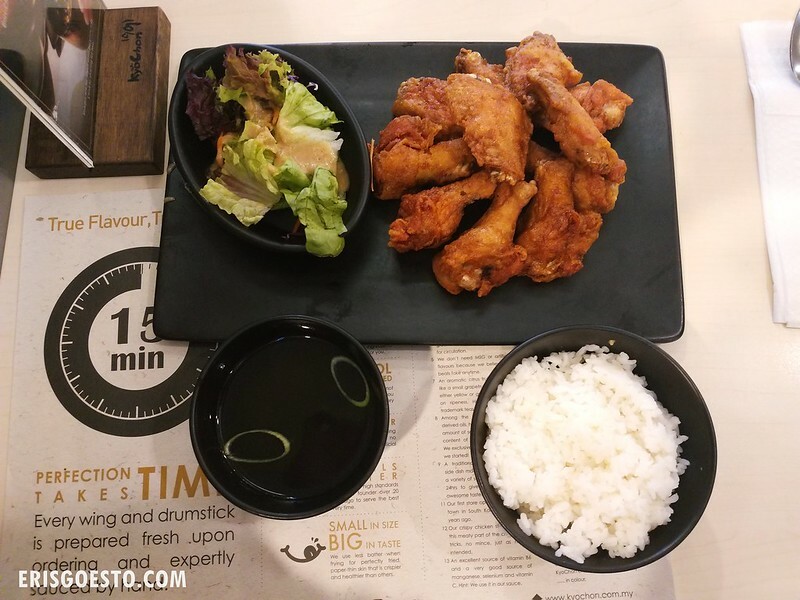 The main issue with me has always been the size; for some reason, I think Kyochon’s chicken wings are extremely small – like they get them from kampung chickens or something. 12 pcs here equates to an 8 pc set from 4Fingers (my favourite KFC by the way). Pricewise, Kyochon is also higher than some other KFC franchises, and of course, 45 minutes is too long a wait for a resto that wasn’t full. Price: Expect to pay RM20-30 for a full meal for one.